LICENSE judywhite's Stock ORCHID IMAGES, FROM THE BOOK & more! See Plant Image Galleries or email us with specific page numbers of stock orchid photography from our picture library. LICENSE judywhite's Stock ORCHID IMAGES, FROM THE BOOK & more! See Plant Image Galleries or email us with specific page numbers of stock orchid photography.. 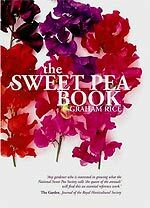 The new bible of the orchid growing world. 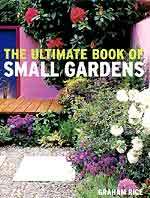 Winner of the "Quill & Trowel Award" for book writing from the Garden Writers Association of America. 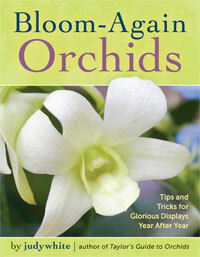 Named "Favorite New Gardening Book" by National Gardening Magazine. Rated 5 stars by Amazon.com reviewers. judywhite wrote and photographed this 400 page book with 300 color photographs. Now in its third printing. "Afraid to grow orchids? Fear no more, because this book explains everything we need to know, from how orchids grow in nature (mostly on sides of trees!) and what we have to do to make them happy on the windowsill. "judywhite is well-known in the orchid world for her wonderful way of explaining the mysteries behind how to grow orchids, and this book, which she also photographed (there are 300 gorgeous color photos depicting every genus in the encyclopediasection) is not only well-written, it is well-organized and covers everything from pest control to potting materials (the best resource on this subject in particular that I'veever come across) to light to getting the darned things to bloom again. The second half of the book is the encyclopedia section, describing not only species, but also man-made intergeneric hybrids, with a lot of information you can't find anywhere else in one place. LICENSE judywhite's Stock GARDEN IMAGES, FROM THE BOOK and more! See Plant Image Galleries or email us with specific page numbers of stock gardening stock photos from our picture library. LICENSE judywhite's Stock Plant IMAGES, FROM THE BOOK and more! See Plant Image Galleries or email us with specific page numbers of stock plant & flower stock photos for our picture library. LICENSE judywhite's Stock Houseplants IMAGES. See Plant Image Galleries or email us with your list of houseplant stock photos.